I am always asked what tools I use for email marketing, auto-responders, domain names, webinars, etc. Here is a list showing the actual tools I use, and the links to get you to each. I hope this helps and is beneficial to you. Siteground is what I personally use for website hosting. They are super fast, secure, and they include a lot of free services/products that others charge for (unlimited email, Caching tools, etc.). Godaddy is what I use for domain names. Bluehost is awesome for domains and hosting your website. Aweber is what I use and recommend. It is a great email program and autoresponder that is used by just about every top network marketer on the planet. My Lead System Pro (MASTERY LEVEL). My Lead System Pro is what I use for generating sales funnels, capture pages, CRM (Customer Relations Manager), and attraction marketing campaigns. 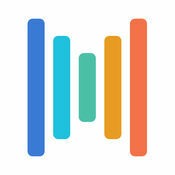 Webinars On-Air is a great platform that utilizes the google hangouts platform. Stealth Seminars is probably one of the best platforms to use when scheduling high-end webinars. EverWebinar is another great platform that I use for automated webinars. Webinar Jam Studio is another great platform with state of the art technology for running live, automated, or hybrid webinars. Social Oomph is a great tool for boosting your social media productivity — it doesn't have to be a manual time-consuming process! Twitter, Facebook (profiles, pages, and groups), LinkedIn (profiles, groups, and company pages), RSS feeds, blogs, Plurk, and App.net! Easily schedule updates, find quality people to follow, and monitor social media activity! Join hundreds of thousands of satisfied users today! Shuffle by Elify Digital Business Card . Elify is an innovative tech company focused on creating simple, yet powerful solutions to help you succeed in business. 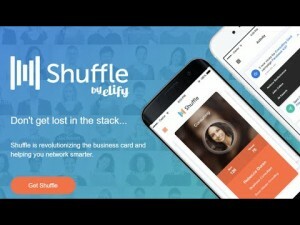 Increase your prospects, improve your follow up, and close more sales with Shuffle, Elify’s new mobile networking app! Digitally share your info with a simple swipe of your finger so your card doesn’t get lost in the stack. STAND OUT and instantly engage your prospects with interactive and beautifully designed cards. Let no one fall through the cracks with card open notifications and follow-up reminders. Click on the link below to learn more about their innovative digital business card and other products that I personally use. 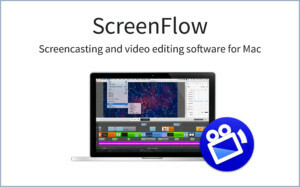 ScreenFlow is a screen capture software for Mac, and is probably my favorite and most used tools of all. With ScreenFlow, you can record any part of your monitor while also capturing your video camera, iOS device, microphone, multi-channel audio device and your computer audio. You can also edit anything. The easy-to-use editing interface lets you creatively edit your video, and add additional images, text, music, animations and transitions for a professional-looking screencast. You can also share your final product anywhere. Export an MP4, MOV, M4V or even an animated GIF to the Web or publish directly to your YouTube, Vimeo, Wistia, Facebook, Google Drive or Dropbox. 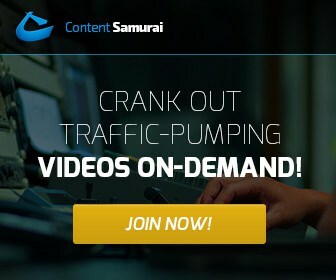 Content Samurai is an awesome tool that you must have if you are using video in your business. Video marketing is the #1 way to get traffic, leads, and sales online and there is no disputing that fact. What is always awesome is when a tool makes your job 1000% easier to crank out traffic and lead pumping videos. This tool makes the task of creating professional videos for your website, blog, or presentations super easy and simple. The best part is, you can click on the link to get more information about this incredible tool and even get 50% off the regular price. Check it out. Taxbot is an app I use on my smartphone and computer to track taxable items related to my business. Taxbot automatically tracks your mileage using the GPS in your smartphone. All you need to do is classify it as business or personal for bulletproof mileage records that will save you big money! Taxbot allows you to take crisp photos of your receipts and then requests the appropriate information for that expense to be tax compliant. Forget the chaos of lost or misplaced receipts. Approach April 15th with confidence knowing you are fully documented and compliant. 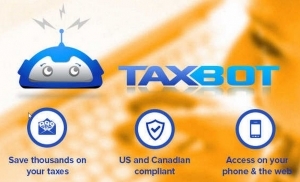 Taxbot is your IRS compliance partner. With the click of a mouse you can print off beautifully formatted AuditSafe deduction reports. It's time to replace that “shoebox of receipts”. You can even register for one of their upcoming webinars by clicking here.